28th July 2000 - Thermals to 14,000' ! What a difference a day makes. Very similar to yesterday except that the thermals were better organised and generally went to 8000'. 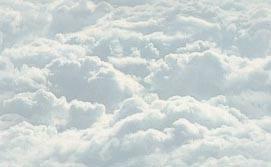 Over the mountains to the west of Ontur a few cumulus puffs indicated a breaking of the inversion. Both the ASH and the Duo managed to climb to 12000' in this area. Then followed a fantastic run to the South West and back. 240km O/R. 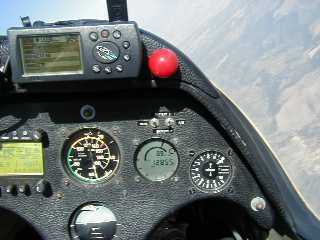 Cloudbase was 14200', best thermal 9.8 knots. Best run 90km at 190kph whilst losing only 2000'. Al and Phil both flew the K21 solo for 1:45 each. Meanwhile, Pete in YM had flown from La Rochelle to Biarritz. He was forced to wait here until the afternoon due to low cloud and Cb's over the mountains. Conditions improved a bit later, which allowed Pete to make the tricky flight to Zaragoza. 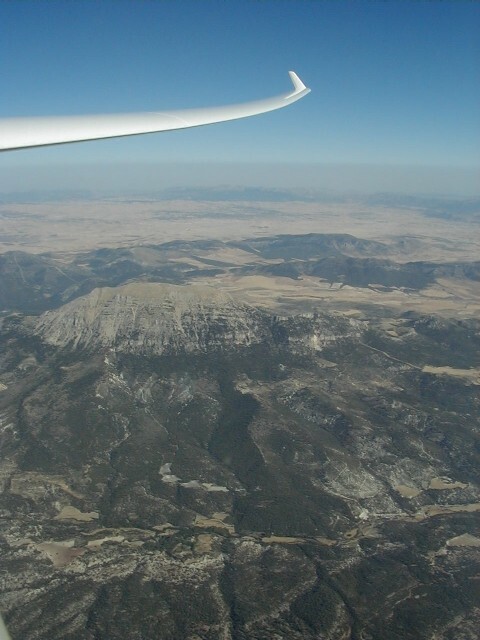 A serious climb - 8.9 kts average passing 12850' towards the max. height of 14250'!! 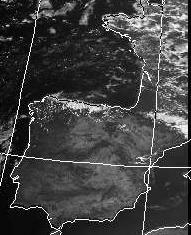 Sat Pic 1600. Those isolated cu too small to show.